If you're interested in new Houston steakhouses, consider dropping into one of these three new spots. Here are the newest places to check out the next time you're in search of a fresh steakhouse. Mastro's is a steakhouse and lounge, offering seafood and more. The new steakhouse is the first Texas outpost for Mastro's Steakhouse, which also has locations in Beverly Hills, Las Vegas, and New York. Landry CEO and Houston Rockets owner Tilman Fertita is behind the new steakhouse, and according to Eater, "Houstonians have flocked to the restaurant to sample its USDA Prime steaks and other indulgent dishes." Steaks include porterhouse, Wagyu steaks, and milk-fed veal chop, while seafood lovers can enjoy seafood towers and a sushi selection that includes jalapeno big eye ahi tuna sashimi and hamachi with crispy onions. The spot also offers vegetable dishes like gruyere cheese scalloped potatoes, hand-cut colossal onion rings, and grilled broccolini. Yelp users are still warming up to Mastro's, which currently holds 3.5 stars on the site. Yelper Mike R., who was one of the first users to visit Mastro's over Christmas, wrote: "The restaurant had that Vegas steakhouse feel to it, which is OK by me. Kind of a fun vibe for a holiday celebration...Service was prompt, and other than delivering our salads prior to our appetizers, it was very good. " Krystal W. noted: "Wine cellar/book was insane. It appeared they had almost any wine you could think of. We got a vintage Silver Oak that was stellar. I was impressed that they even had my birthday year! I wish they had more bubbles by the glass--only Veuve Yellow and Dom are available." 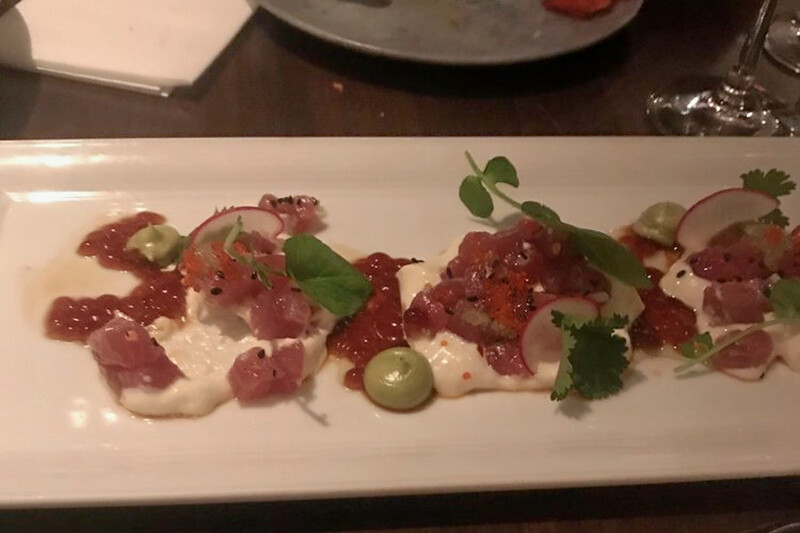 Yelper Svetang D. wrote: "Had experience with the location in Chicago...the Houston restaurant is similar in layout as decor. Beautifully arranged and the waterfall is awesome. The place was lively and full." Courtesy of restaurateur team Itai Ben Eli, Dori Rebi Chia, and Itamar Levy, Doris Metropolitan is a modern steakhouse with a Mediterranean twist. It has other locations in New Orleans and Santa Ana, Costa Rica. The restaurant offers dry-aged meats "which are offered alongside vegetable-forward appetizers, exotic and local seafood, a thoughtfully sourced caviar menu, and seasonal sides." Starters include beetroot with cheese and pistachio filling, pesto, and goat cheese creme fraiche; octopus with tzatziki and smoked tomato salad; and a Chateaubriand tartare with shallots, capers, Dijon mustard, and quail yolk. Locals have warmed to the new spot. Its current Yelp rating is 4.5 stars. Yelper Connie C., who was one of the first users to visit Doris Metropolitan on January 13th, wrote: "This restaurant really knows how to respect their ingredients and elevate flavors.W e got the octopus, sweetbreads and veal cheek. Perfect textures married with perfect flavors." 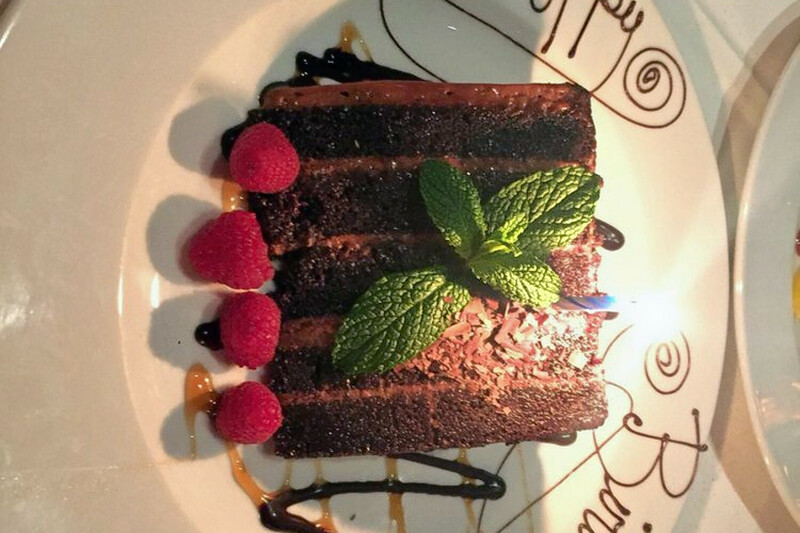 Debbie S. noted: "We had an early NYE dinner and it was amazing! We had special cocktails before dinner and then the bread! Oh, the bread. Hot onion bread, focaccia and olive/pesto with 3 flavored butters and an olive oil balsamic dipping sauce." 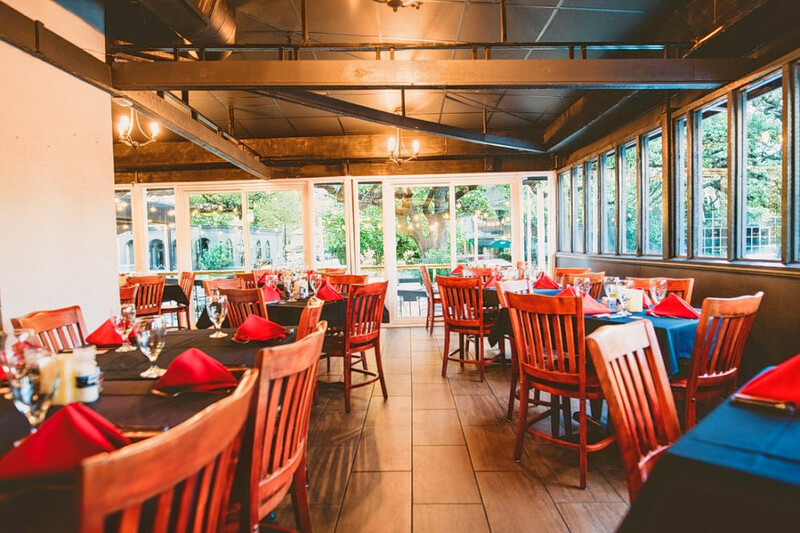 Yelper Kim R. wrote: "Love what they've done to what was formerly known as Triniti! I've been here twice now, once for happy hour and another for dinner. Both great experiences. The staff are polite, professional, and extremely knowledgeable." Doris Metropolitan is open daily from 5pm-11pm. Fogao Brazilian Churrasqueria is Houston's newest Brazilian spot. Guests can start their meals off with Brazilian cheese bread, coxinha de frango (deep-fried chicken croquettes) or fried yuca. Most diners will likely opt for the Brazilian Market Bar, where for $19.95, they can try out 35 items, including "endless portions of delicacies ranging from gourmet cheeses to exotic hot dishes." Fogao Brazilian Churrasqueria currently holds four stars on Yelp, indicating good reviews. 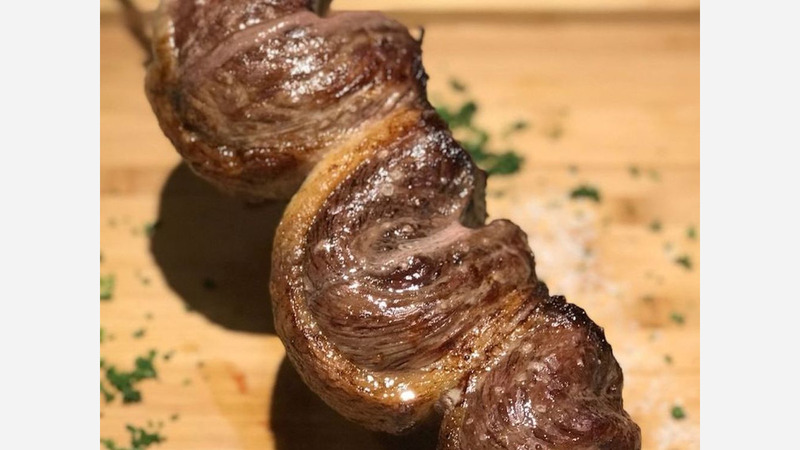 Yelper Jonathan L., who was one of the first users to visit Fogao Brazilian Churrasqueria on January 16th, wrote: "We went here for my birthday dinner tonight and were very pleased with our experience. All the meats were cooked to perfection, especially the filet." Maz M. noted: "My husband and I have been here twice over the past month and have really enjoyed ourselves." Yelper Vivek K. wrote: "I say this as a frequent churas-career--this is the best in town, hands down. I cannot explain the quality made to order and the cheese bread...but it is the picanha and beef rib that make Fogao the real deal in Houston, and arguably nationally." Fogao Brazilian Churrasqueria is open Monday-Thursday from 4pm-9pm, Friday and Saturday from 11am-10pm, and Sunday from 11am-9pm.